Description: 3-5.75 in. 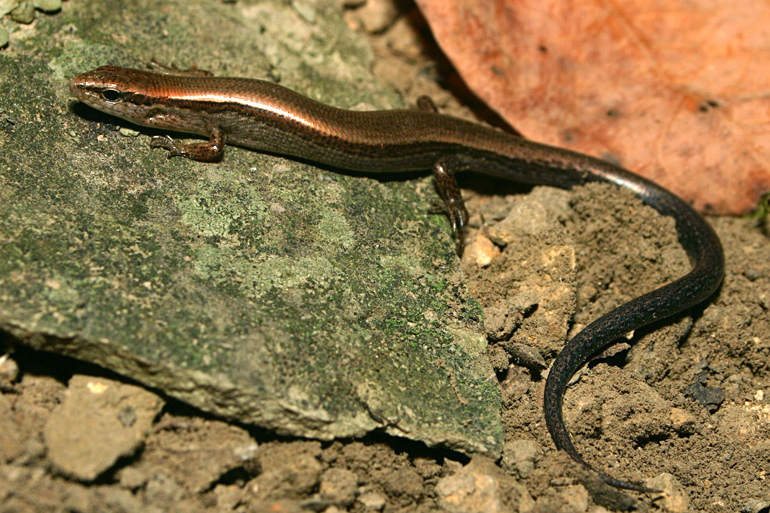 (7.5-14.6 cm) The ground skink is small, smooth, and brown with a dark stripe along its side. The shade of brown varies from reddish or chocolate to light golden brown and often matches the leaf litter where the lizard lives. The belly is either white or yellow. 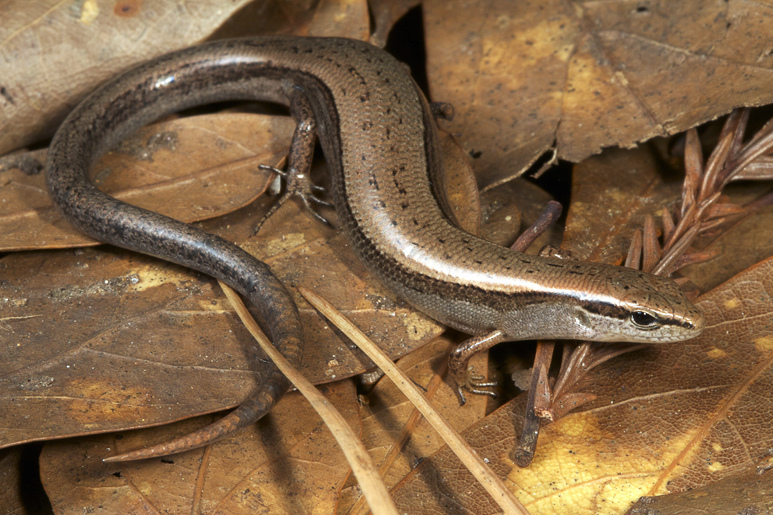 The ground skink also has a transparent disc in the lower eyelid through which it can see even when its eyes are closed. 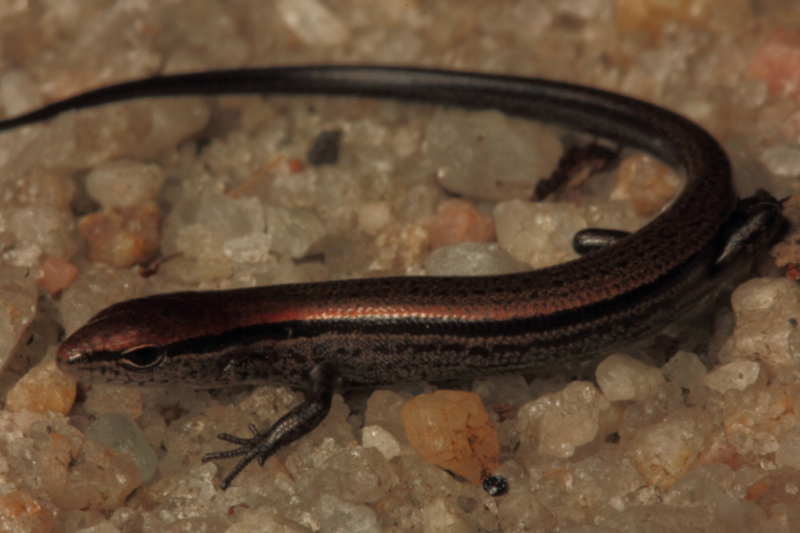 It is the smallest lizard in North Carolina. Feeding/Diet: Ground skinks eat small insects, spiders, and isopods. 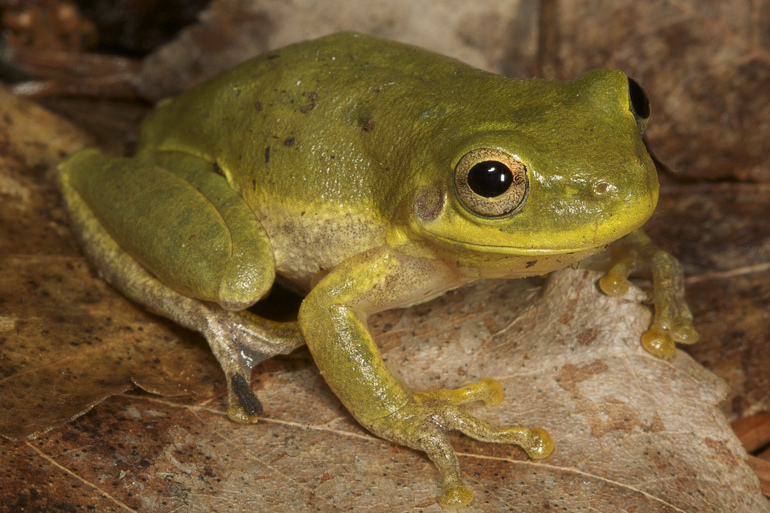 This species searches for prey among leaves, decaying wood, and detritus. Habitat/Range: Ground skinks are most common in the Coastal Plain and eastern Piedmont but can also be found in the southern mountains. They usually live on the woodland floor among the leaf litter. 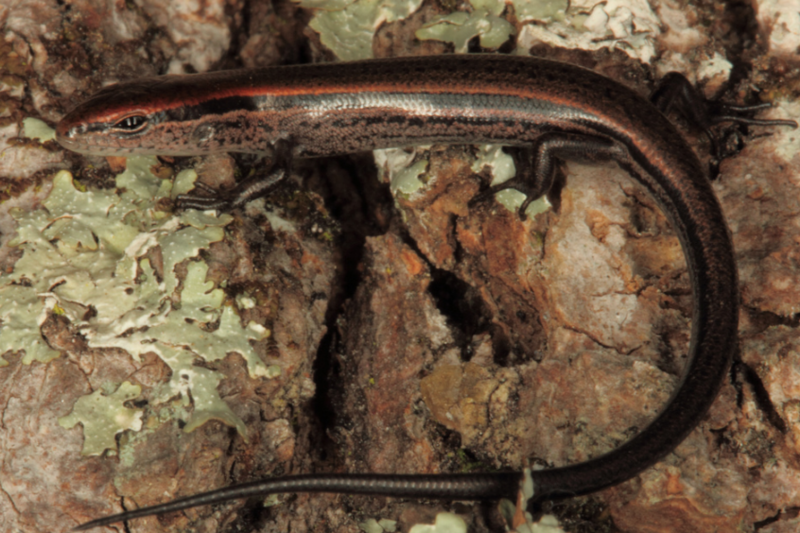 Reproduction: Ground skinks lay 1 to 5 eggs in soil mounds and rotten logs. It has been suggested that female ground skinks can lay more than one clutch in a season. 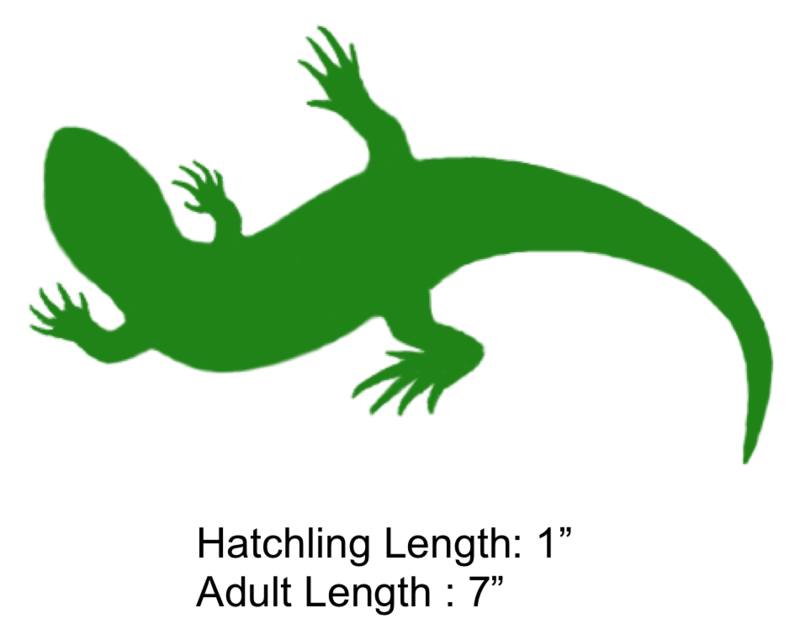 Miscellaneous: Like other lizard species, ground skinks will lose their tail when seized, distracting predators and allowing the skink to escape. The tail later regrows. The shaded region represents the range of the Ground Skink in North Carolina.